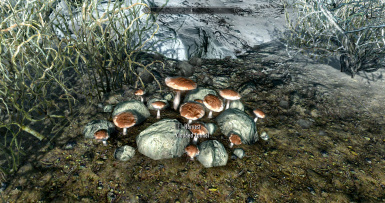 Thanks to Wiseman303's Flora Fixes, get rid of flora respawn bug on Beyond Skyrim. 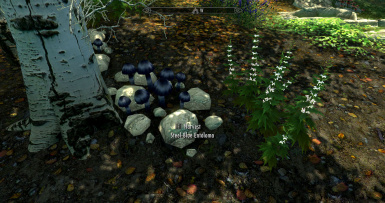 This mod extends the usage of the Flora Respawn Script created by Wiseman303 to the 241 new harvestables FLOR and TREE records available on Beyond Skyrim. Now you can harvest these plants without fearing the flora respawning bug. Since the script is not included in this mod, you must have Wiseman303's Flora Fixes already installed and in use. 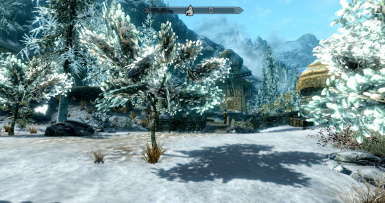 The esp included here edits the Flora and Tree records for the harvestables in Beyond Skyrim in order to link to the Wiseman303's Flora Fixes Script and Quest, a script file provided by the original fix. * Drag and drop the .ESP file into Skyrim's Data folder, or let it manage by your Mod Manager, if you have any. Load after Wyrmstooth and FRF, of course. Load after Wiseman303's Flora Fixes and any other mod that alters TREE and FLOR records. Not supported, as per WM's Flora Fixes description. Just install and forget it. Same for Wiserman303's Flora Fixes. Q: Beyond Skyrim is a work in progress: will you keep up to date this fix? A: Yes, as well as I can. Many sincere thanks to Wiseman303 for his fantastic Flora Fixes. My personal game experience became really more pleasant, getting rid of that damning annoying resistance I felt every time I desired to harvest a natural resource, fearing that it never would have been returned. Many sincere thanks to Beyond Skyrim team!